It started with three professors, three companies and an idea: professional experience doesn’t need to wait until after graduation. In the late 1970s, mechanical engineering professors Ron Venter, David Scott and Derek McCammond proposed a new kind of co-op work term. 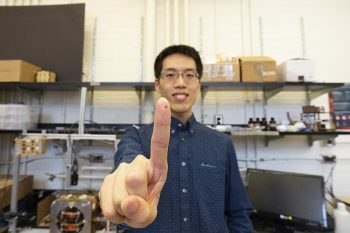 Rather than summer internships or other short-term placements, U of T Engineering students could work in longer-term positions for 12 to 16 months and earn competitive salaries. This enables them to assume greater responsibility over projects, and gain meaningful technical and professional competencies. In 1979, three companies — General Motors Canada, de Havilland Aircraft of Canada Limited and Ontario Hydro — were invited to participate in the inaugural year of the Professional Experience Year Co-op (PEY Co-op) program. Forty years later, PEY Co-op has become the cornerstone of experiential learning at U of T Engineering. In an average year, more than 700 engineering students hold roles at a diverse range of companies, in fields from artificial intelligence to advanced manufacturing; the current cohort includes more than 850. Today’s PEY Co-op students can be found working across the world, from Toronto-based, leading-edge startups such as Flipp, to global brands such as SpaceX in Hawthorne, Calif. In the 2018-19 academic year, the combined salaries of PEY Co-op engineering students exceeded $40 million. Environment and Climate Change Canada (ECCC) is among the more than 350 companies who partner with U of T Engineering to hire PEY Co-op positions. 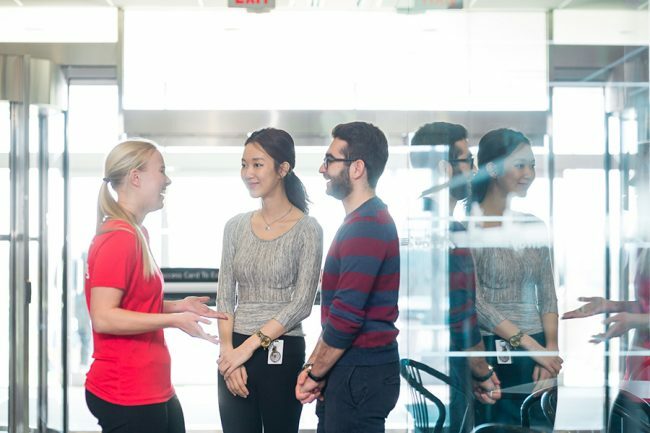 This year, 30 students are working in its Toronto office. The 15-year partnership has seen many successful contributions from PEY Co-op students. Recently, they were instrumental in developing and launching the Government of Canada’s first weather app, WeatherCAN/MétéoCAN. Its features include daily forecasts, severe weather alerts and meteorological observations relevant to Canadians from coast to coast. Within a few days of its launch in February 2019, WeatherCAN was the top weather app and top free app in both the Apple and Google Play stores. Professor Brenda McCabe (CivMin) has been instrumental in orchestrating the evolution of PEY Co-op in her roles as associate chair, undergraduate, then as chair of the Department of Civil & Mineral Engineering, and since 2016, as academic director of the Engineering Career Centre (ECC). “Before 2003, I remember PEY was a much smaller program and focused on the IT sector. When Grade 13 was dropped in Ontario high schools, students were coming into university one year earlier and were in less of a rush to get out into the workplace. As such, PEY worked perfectly in supplementing that extra year of student experience,” says McCabe. When Roger Francis joined the ECC as its new Director in 2017, his goal was to take a look at the operations of the organization and propose updates to modernize its flagship program. 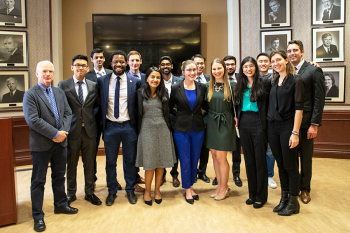 U of T Engineering students undertake their PEY Co-op placement following Year 3 of their undergraduate program. Beginning in September 2019, the ECC is piloting a new structure that starts preparing students to excel in their PEY Co-op, and future careers, at Year 1. The long-term goal is to grow this into a comprehensive professional development program that incorporates work-integrated learning elements across all four years of undergraduate studies. 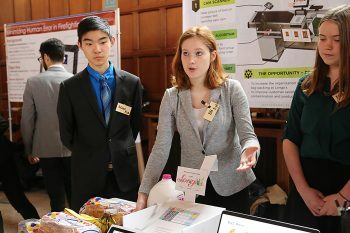 ECC plans to invite employers and alumni to U of T Engineering to engage with Year 1 students and bring awareness of the many engineering career opportunities available to them, and the competencies they’ll need to get there. By Year 2, students will engage in immersive training: mock interviews, networking opportunities, and an optional four-month summer co-op work term. “This will get our students ready and familiar with expectations of the longer-term PEY Co-op,” says Francis. As Francis and his team launch new initiatives designed to prepare students for the rapidly changing future of work, the ECC is also capitalizing on the PEY Co-op program’s 40th anniversary in 2019 to celebrate the past. “It’s remarkable that our Faculty has built such a rich history through a program like PEY Co-op,” says McCabe.